June was a special month. As a one-off, we managed to sort two albums, which were both chosen by us. For Josh, it could’ve easily been Arthur Russell, Ptaki, Letta Mbulu, Telfort and Lutto Lento. 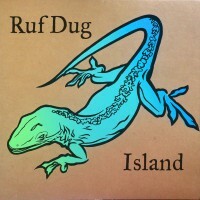 Instead, our subscribers received the incredible new double LP from Ruf Dug. Ruf Dug, when asked to produce a record for Music For Dreams, went off to Guadeloupe, with a mini studio in his suitcase. Armed with half-rack synths, effects units, a laptop and a 4-track, he set about recording this delicious balearic record. June was the hottest month of 2015, and the only place we want to be is by a pool with this playing incredibly loudly. Luke had a much easier time. 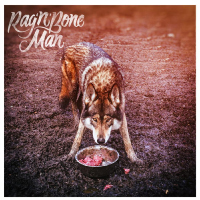 Rag ‘n’ Bone Man absolutely blew him away when he chanced upon him at Secret Garden Party in 2014. His gravelly, blues-dripped voice is unlike any other UK singer, and his blend of dark hip-hop, blues and soul is something we can’t get enough of. Add to this some of the UK’s best hip-hop talent, such as Kate Tempest and Stig of the Dump, Wolves is an absolute blinder of an album.